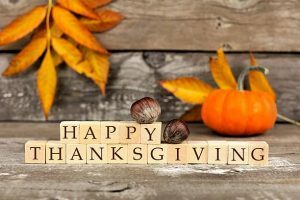 This week we would like to highlight the many ways we are thankful – for the many positives this year has brought and for all the successes our members have had. John, the online book program manager at TAP into Hope, for taking the time to come out here. John shadowed some key staff to learn best practices running online books ahead of their program going live. Welcoming our newest staff member, Kylie, as our Communications Coordinator to the Cascade Alliance team! Shanda and Debbie visiting us from ThriftBooks! We appreciated the opportunity we had to share more about the Cascade Alliance, and all of our fellow book sellers. Our fearless leader, Susan Palmer, who visited our mattress recycling facilities in California. We are excited about the increased diversion there, the collaboration that took place with The Mustard Seed of Central Florida, and the progress toward another warehouse. Vincent de Paul Society of Lane County was honored to have received the Recycler of the Year Innovation Award from the Association of Oregon Recyclers. Terry, Mitra and Susan’s presentations at the conference of Association of Oregon Recyclers! Their focus was on collaborations, nexuses and community. We visited Union Rescue Mission of Wichita back in May and were so impressed with their book collections! Our partner, The Scrap Exchange, was featured in the news in April for their grand opening of Scrap Thrift and DIY Fest! We met with Australian mattress recyclers visiting the United States in March. Andrew Douglas and Janelle Wallace from Soft Landing toured our Oakland and Stockton California facilities.